It was Game 3 of the 2001 ALDS. 1. Why and how did Derek Jeter get to that ball? 2. Why didn’t Jeremy Giambi slide instead of prancing around the tag like a little girl? 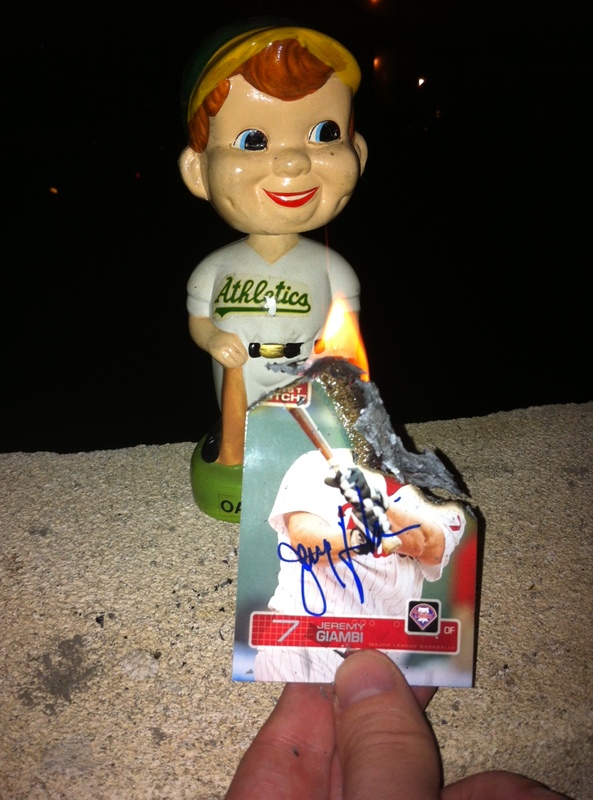 Like Pedro Cerrano in the movie, Major League, I decided to throw away my disbelief in the world of superstition and hocus-pocus mumbo-jumbo and try a little “voodoo.” I happened to have a baseball card with a Giambi autograph on it. The autograph enhanced the “chi” or his essence. This essence would be vital in the process as it had to be burned and sacrificed to the Baseball Gods. Giambi was also wearing a Phillies uniform on the front of the card, and since I hate the Phuckin’ Phillies this would be an even sweeter ride. 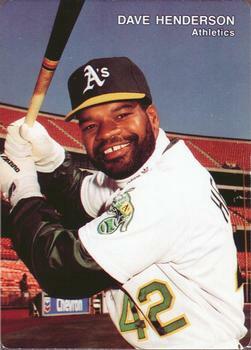 (Giambi was traded the next season; I suspect because the Oakland fanbase rode him unmercifully for his gaffe.) 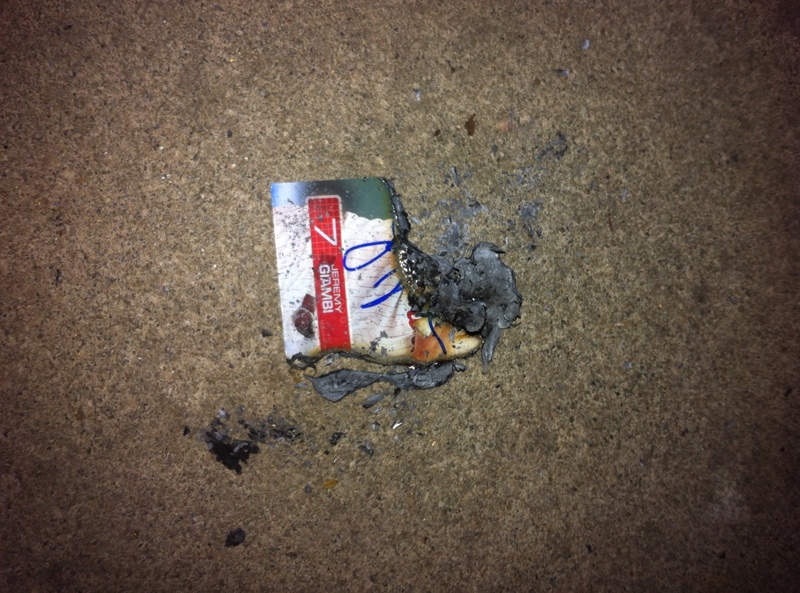 The card refused to burn at first. I knew it was the gloss, but perhaps it was the Gods trying to spite me. Eventually the card and the chi were sacrificed. The curse has been lifted Oakland fans! We no longer have to worry about the Detroit Tigers and Justin Verlander, or even those stinky Yankees. Take comfort in this….and I’ll see you in October. 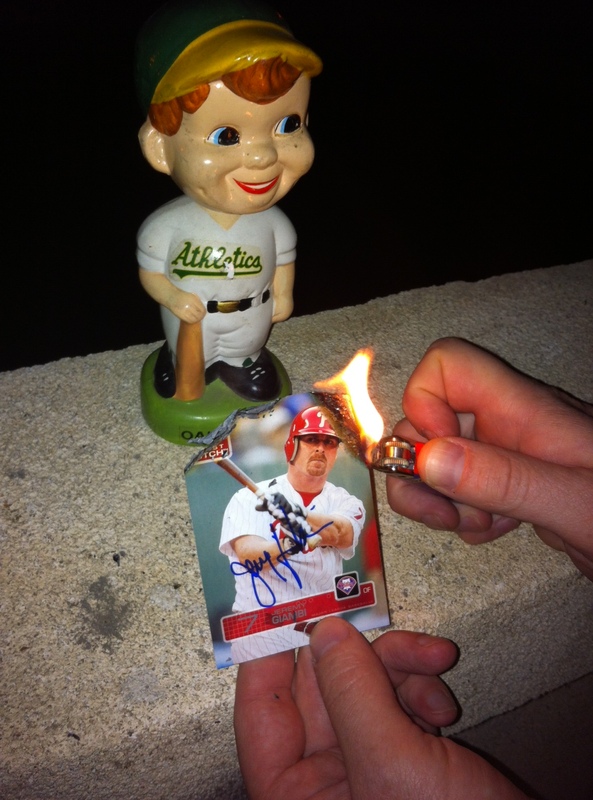 World Series bound…why didn’t I do this sooner?